Being that Holly and Ethan have had a bit of experience with sexual themed relations, they had every intention of talking about how foreign the concept of “saving one’s self for marriage” was. The subject, prompted by Olympian Lolo Jones’ revelation of her own virginity, quickly takes a turn as both Holly and Ethan come to a shocking realization. Their conclusions eventually prompt a scientific study, one you’ll have to hear to believe. Will their lives change forever? Probably not, but it’d be quite interesting if they did. Holly will be appearing on “The Riffingtons” Wednesday February the 12th at 7:30 PM CST where she’ll be helping hosts Josh and Theo “navigate the choppy waters that are Valentine’s Day”. 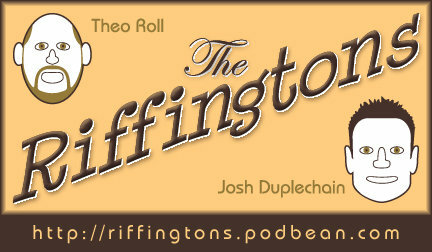 The Riffingtons is a live comedy podcast hosted by Joshua Duplechain and Theo Roll. It’s a really funny show, so go over and support the guys as they continue to produce quality content. Two weeks in a row? 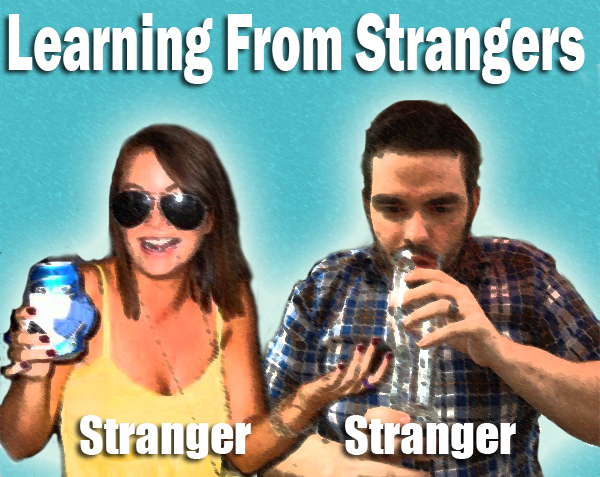 Did a real life producer take over ‘Learning From Strangers” duties? Nope, we’re just riding the wave that is the new year. We’re also high on life, like dangerously high. Dressing for success is very important in today’s fast paced social environment as few people have the time to actually “get to know a person”. Utilizing their wealth of knowledge on the topic, Holly and Ethan break down appropriate dress for a variety of dating related situations while also discussing Louisiana’s ability to deal with inclement winter weather, surf fashion and Holly’s distaste for the fashion of time travelers.